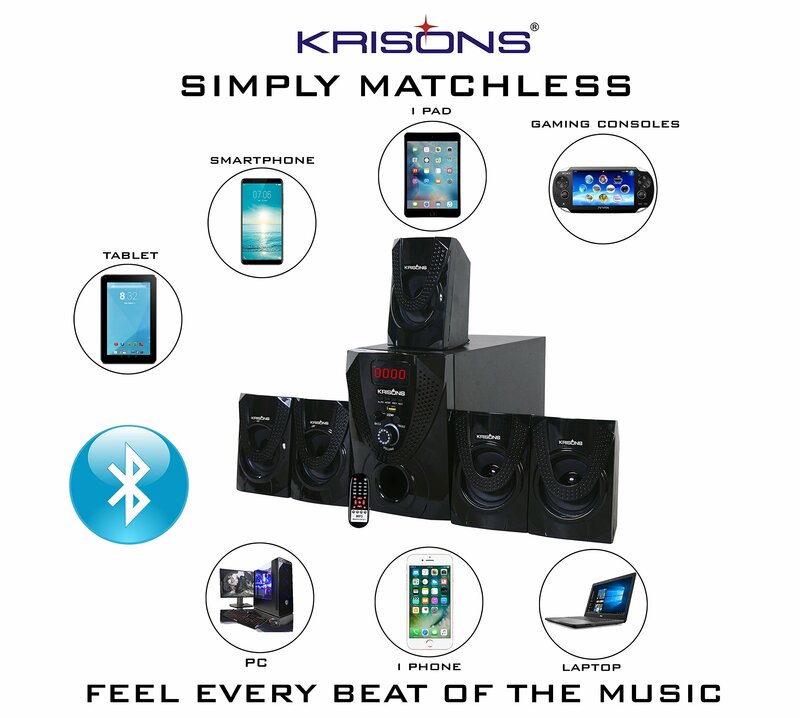 Krisons 5.1 Home Theater Speaker System has various input sources like Bluetooth, USB ,FM Radio , AUX-IN and is compatible with your Mobile Phone , Tablets ,PCs ,Television etc. 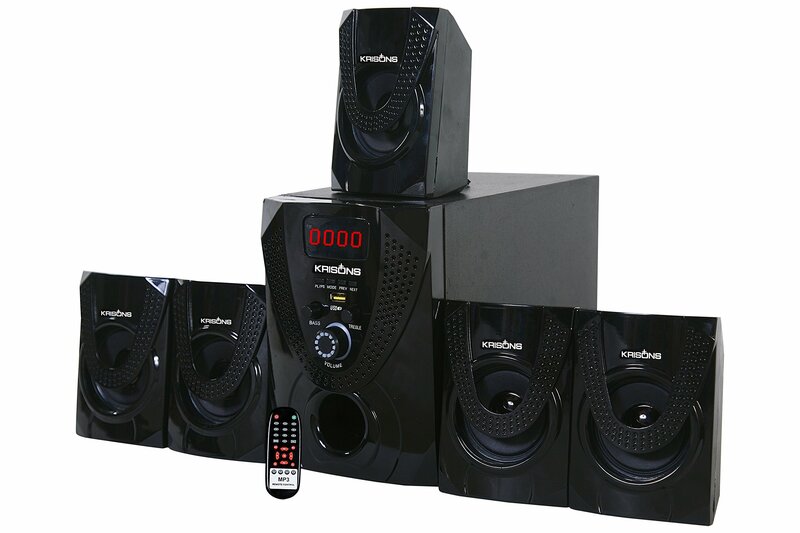 .It comes with 1 Sub-Woofer and 5 Satellite Speakers .It has a wireless remote for ease of use . 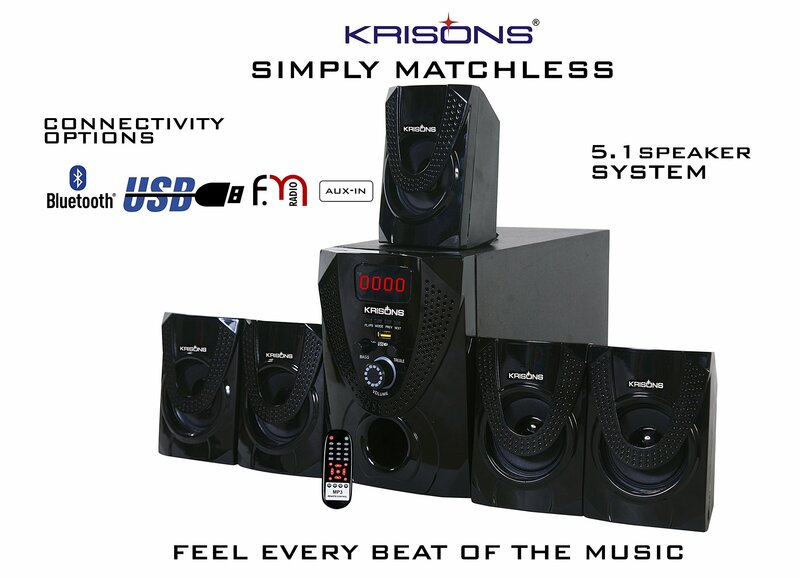 It has a High Output and crystal clear natural sound. 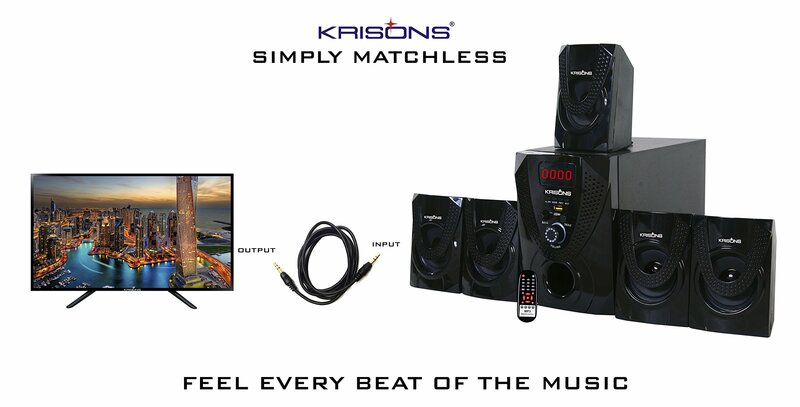 It is a perfect home entertainment audio system with state of art technology and European Design .For those who prefer true value , attractive looks and superior performance this is the right choice . 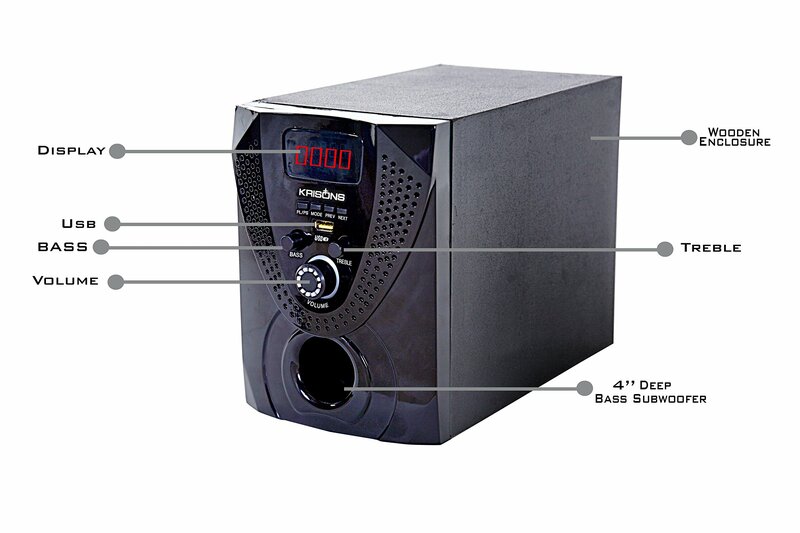 Just Plug-In and enjoy .